I love Filipino food. I really do. 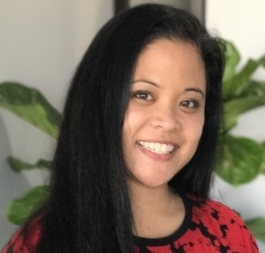 Unfortunately, there is a definite lack of Filipino restaurants in Canada that serve authentic, delicious food in an attractive atmosphere with good customer service. Thankfully, Manila Grill Express gets some of these things right. When you walk in, you’ll notice the large TV screens displaying the menu above a take-out counter. There is seating for about 40 people at simple but clean tables. A few tasteful touches, such as framed Philippine currency and original paintings, lends warmth to the minimalist design. The customer service is okay most of the time; it really depends on who is working. Some of the servers are slow and easily flustered, but I’ve come to expect that from family-run places. But what I really love about this gem is that the owners/cooks of Manila Grill have presented what so many of their contemporaries in Edmonton have failed to do: a streamlined menu with rotating specials. Instead of offering endless pages of every conceivable Filipino dish (and then not having them available), they have focused on about a dozen of the classics, which means they do them well. They also have weekly and daily specials, which sometimes make it into the main menu based on customer response. On this particular visit, we ordered the pancit palabok, lechon kawali, bicol express, crispy pata, and halo halo. 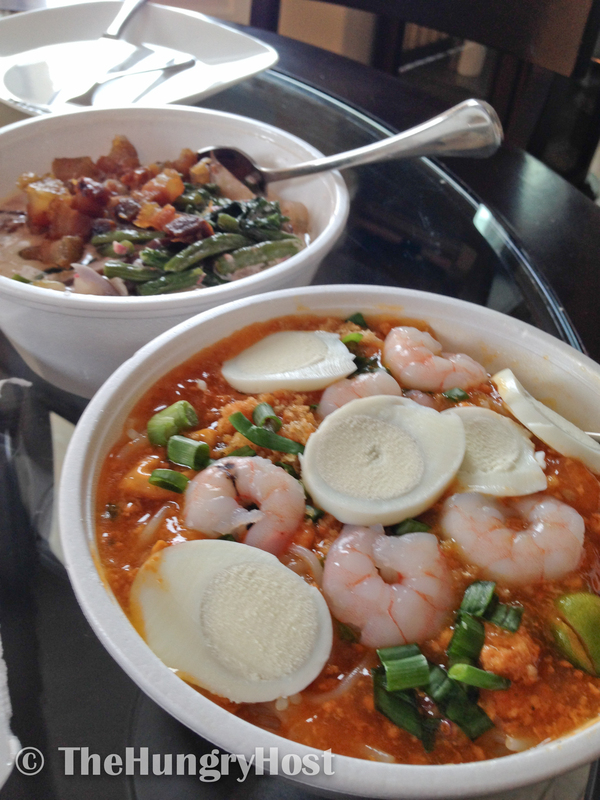 The palabok was good; thin rice noodles coated in a salty shrimp gravy and topped with seafood, eggs and green onion. 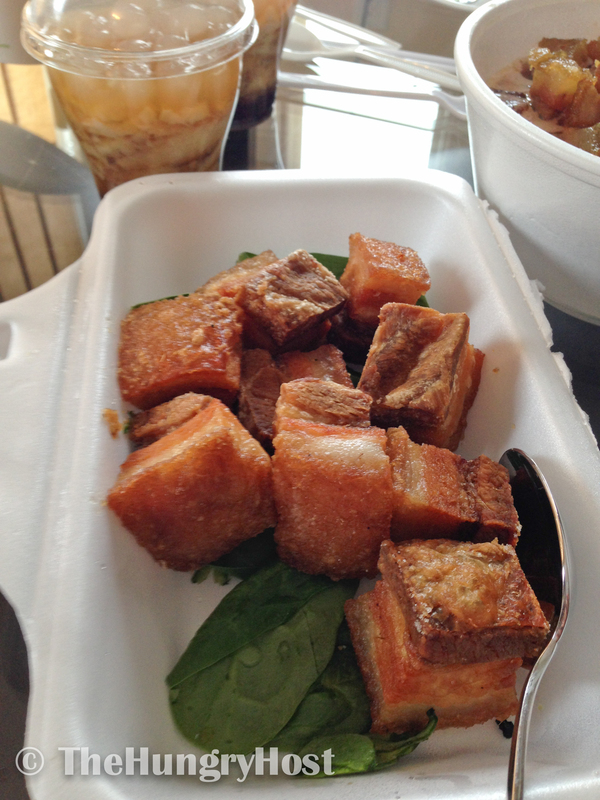 The lechon kawali, deep-fried pork belly served with a tangy soy-based sauce, was a little dry for my taste. 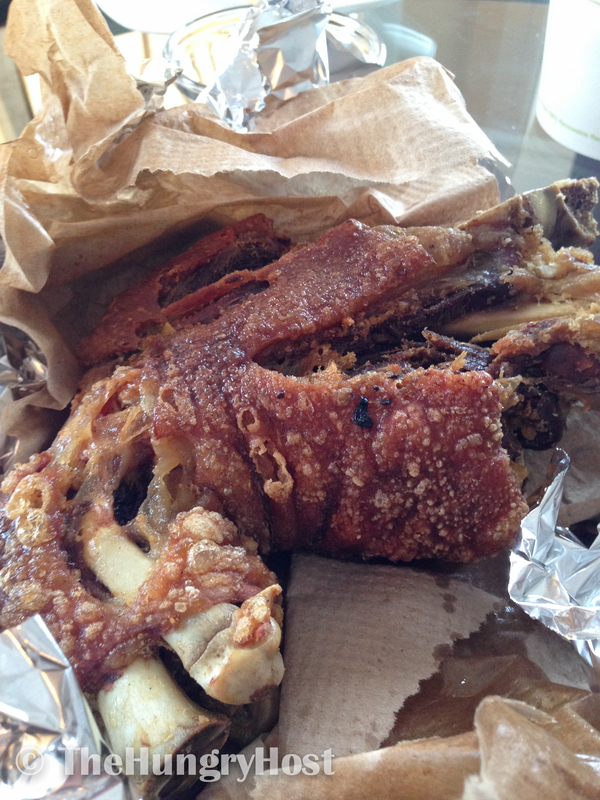 The crispy pata, a deep fried pork hock, was tender yet crispy. 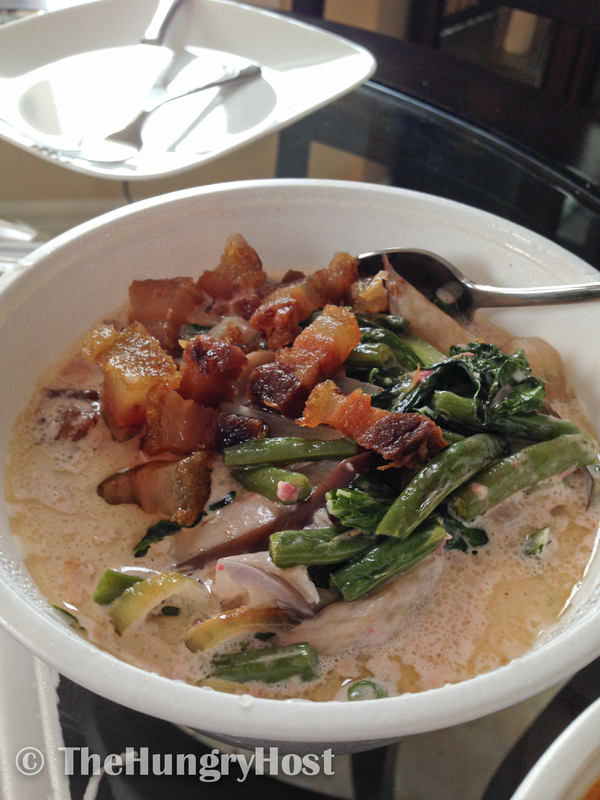 The star of the day was definitely the bicol express, which is a coconut-based stew with just a touch of spicy heat. I recommend getting the sisig if it’s on special. That has always been my top choice at this restaurant. I’ve also heard great things about the seafood platter. I eagerly await the time when Filipino food is as mainstream as Indian curry or Japanese sushi. Until then, I’ll be taking out from Manila Grill Express.